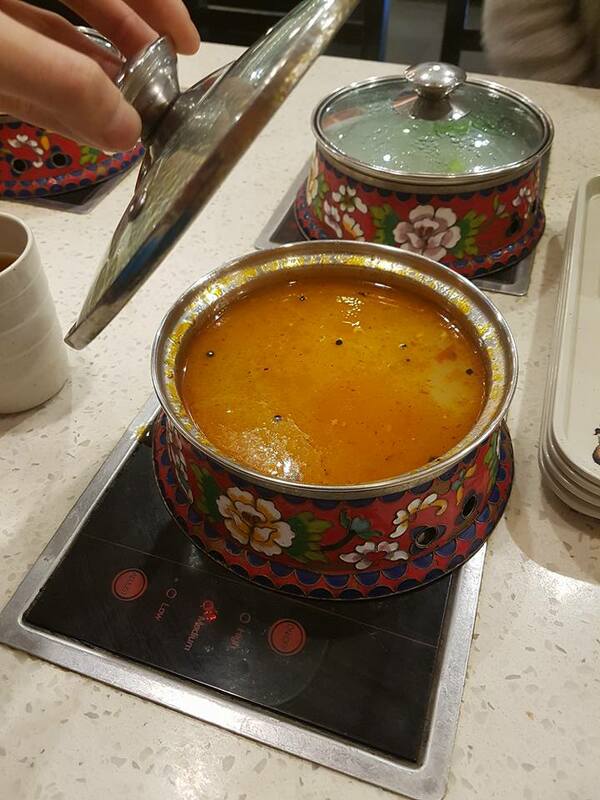 My first HOT POT buffet @ MINI POT, Burwood. If you’re a food lover like myself, you should definitely subscribe to Strictly Dumpling on Youtube. 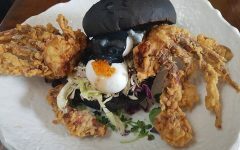 Mike takes you on food adventures all around the world and he does on the spot taste tests in the restaurants. His expressions are priceless! 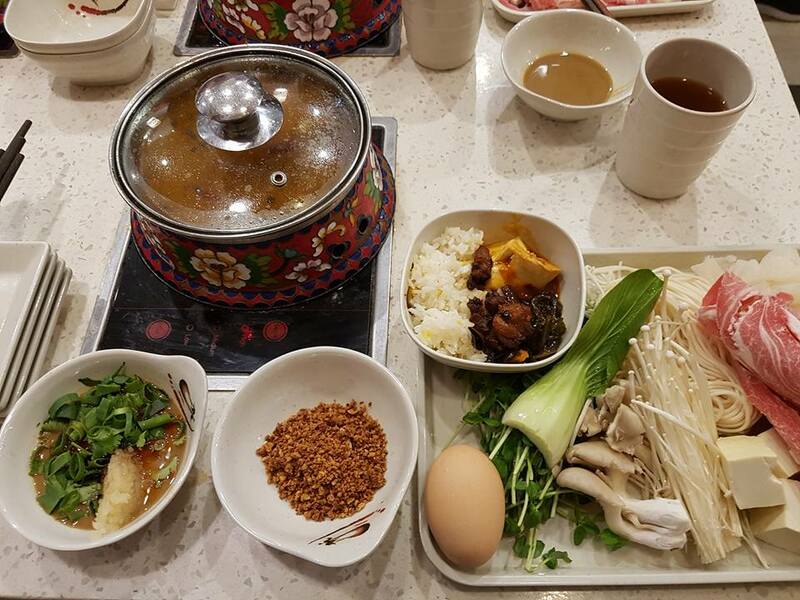 As a newbie, one of the biggest lessons I learnt from my first Hot Pot experience is to let your food cool down slightly before putting it in your mouth. 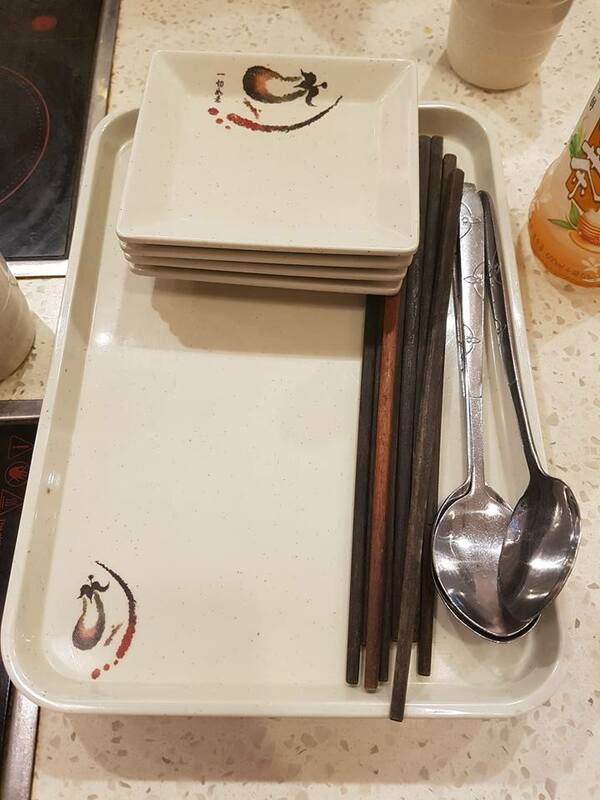 You’re basically picking stuff out of a boiling broth, so it’s best not to put it straight into your mouth… Take this from someone who left the restaurant with a burnt tongue lol. 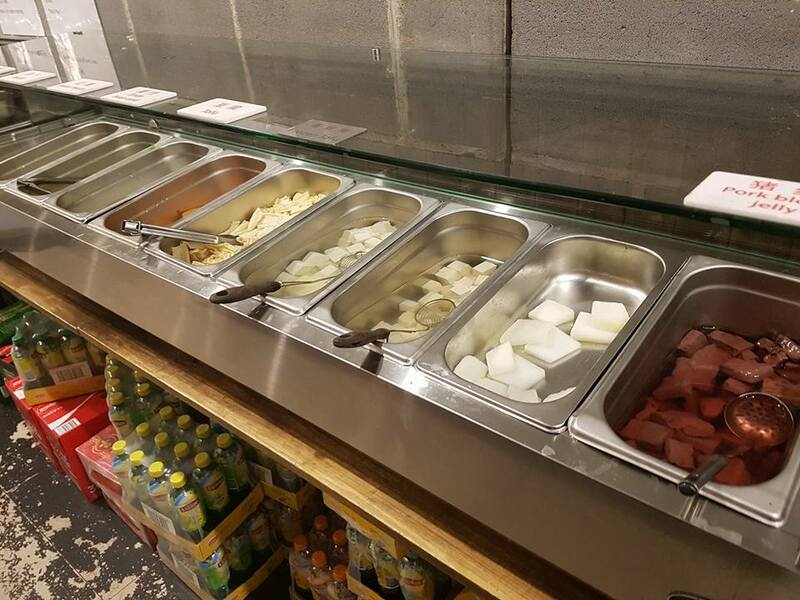 Each person gets a tray on which they can put their choice of meats, veggies from the buffet. 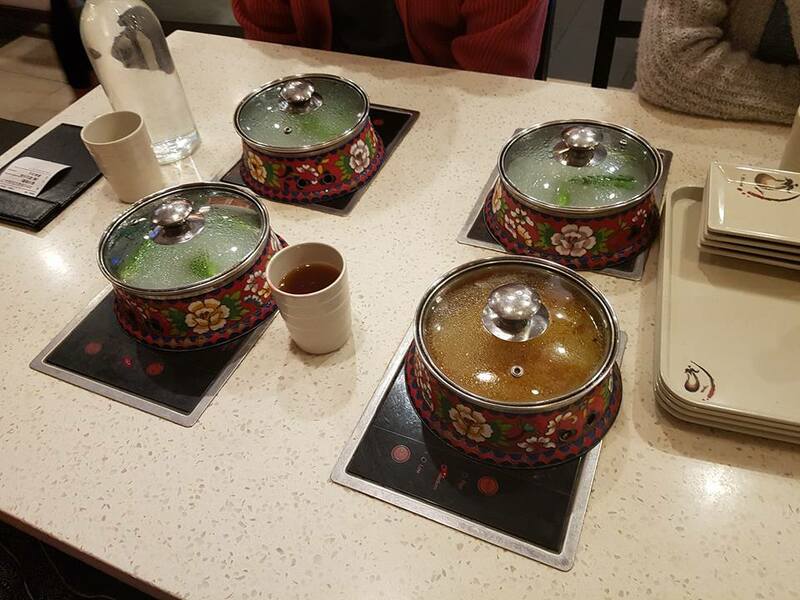 In-buit individual hot pot stoves. I believe they have around 3-4 different broths to choose from. The whitish one is a chicken broth and the reddish one is the spicy pork intestine broth. 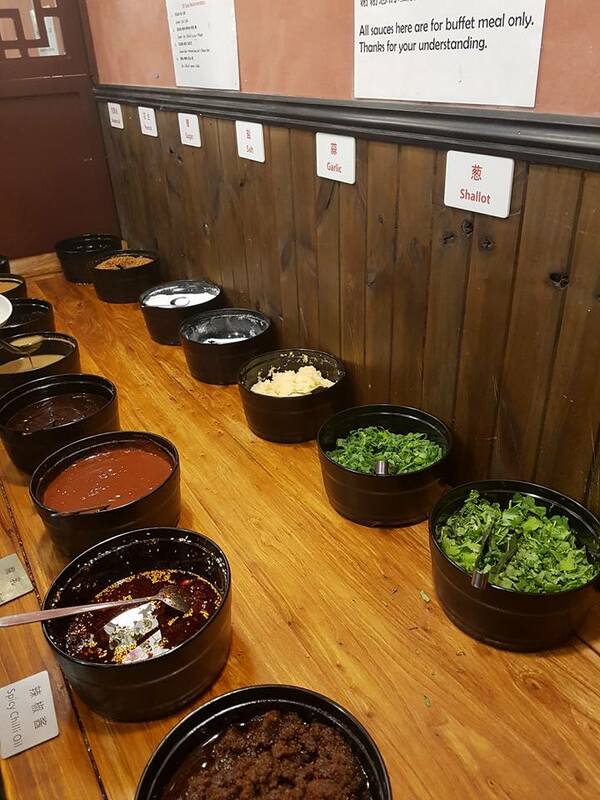 Neither had much flavour to begin with but at least their extensive sauce bar made up for it. 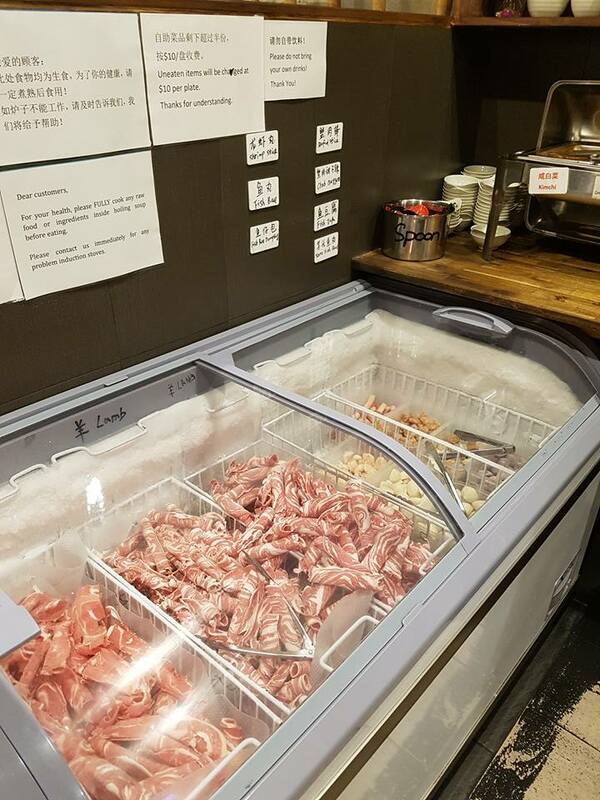 All their meats and selection of fish balls were found in this freezer. 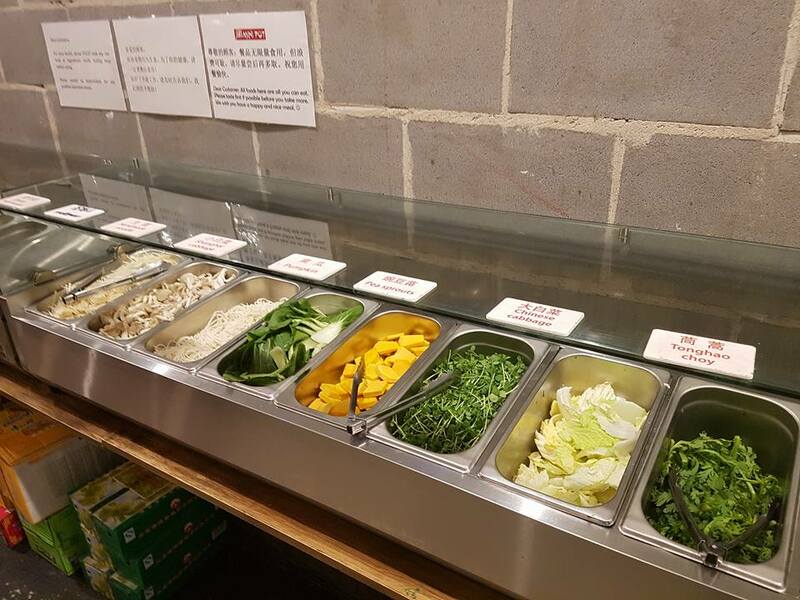 You can help yourself to any amount you please but look out for the notice found above the freezer which says Uneaten items will be charged $10 per plate. It is a fairly reasonable rule as it will limit wastage. I loved how thin the meat was cut. A few seconds in your broth and it’s perfect! Quite a wide range of veggies. And other stuff… Like pork blood jelly… Wasn’t adventurous enough to try that one yet. My tray. So pretty right?! See how I only took like 4 pieces of meat. 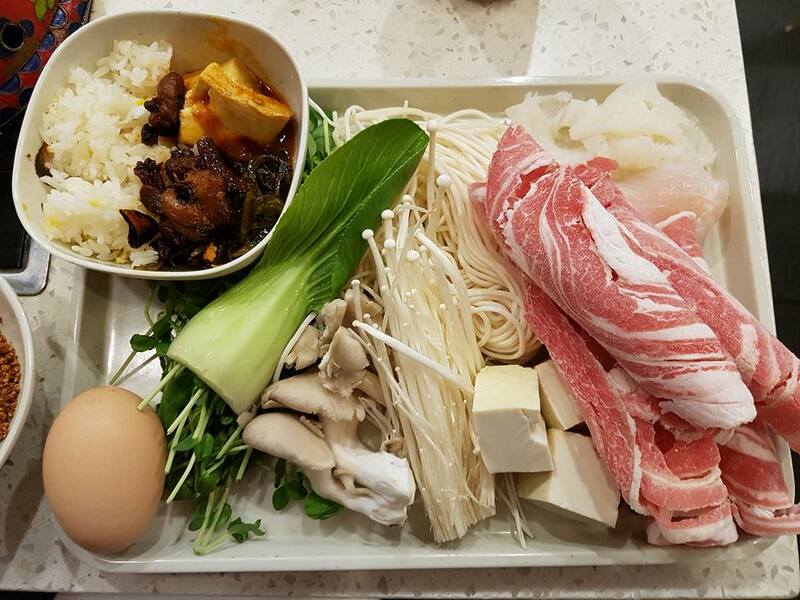 I saw veteran hot pot eaters fill up a whole tray with just meat. I guess I don’t know how to take advantage of the all you can eat hot pot deal yet. I’m learning! The handmade noodles were one of the best part of the hot pot. However, this was more than enough and I’m not that big of a meat eater anyway so I rather enjoyed what I picked out. As for the service, it was alright. It is a mostly self-service experience except that they bring you your broth and fill it up again if you’re running low.